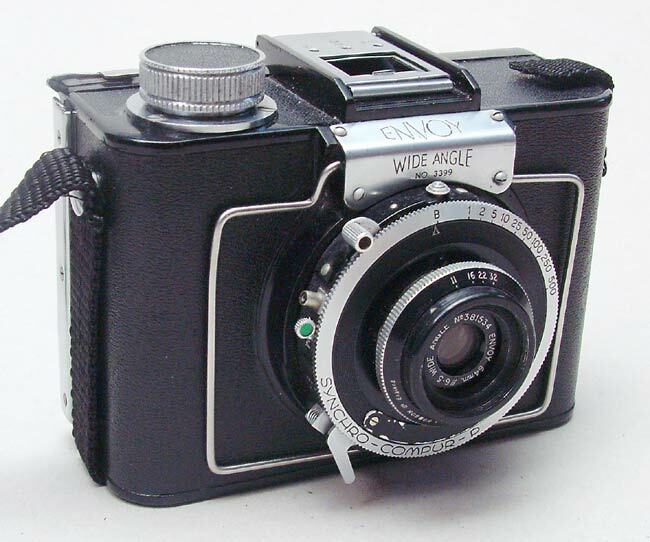 The Envoy Wide Angle is a British made camera from around 1950. It makes 6x9 negatives with a 64mm lens. 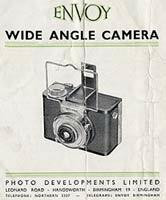 tech) which also includes a page for the Envoy Wide Angle.